As a leading Chimney Sweep in CT, our team understands what it takes to deliver the best results, least hassle and some of the best prices around. 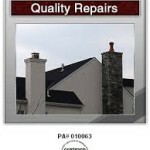 Proper care and maintenance to your chimney is a critical element in home ownership. Our tough Connecticut weather makes having an operating fireplace an almost necessity! 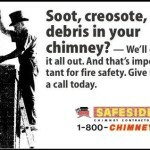 Cleaning your chimney from creosote, soot and debris can help prevent chimney fires. This is a great post that explains the importance of an annual chimney clean! How Does Chimney Cleaning work? 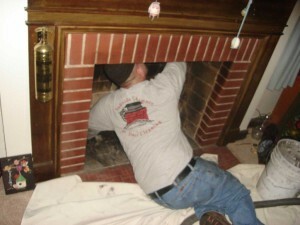 Chimney Cleaning Most people have no idea what goes into a Chimney inspection and a chimney cleaning. Generally we use wire brushes for masonry chimneys and for metal chimneys we use special polypropylene brushes. It is important that the proper type and size brush for the chimney application is used. Top Down (Rod Method) This process of cleaning is completed on the top of the roof. Our cleaning professionals use the chimney brush to clean the interior flue lining. The chimney brush is connected to flexible metal rods, which are added as we work down the chimney in order to complete the entire chimney sweep. Bottom Up: Your chimney is cleaned from the inside of your house – your fireplace or woodstove – up through the chimney opening. There are cases where this is the best method for dust control purposes or chimney accessibility. Our professionals are trained to produce the best results for you and your home by supplying tarps and drop cloths to ensure the cleanliness of your home and furniture. We guarantee no mess to your home. Here at Safeside we work hard to give you the most value for your dollar. So we keep the cost of chimney sweeping down by recommending doing routine chimney cleaning in the spring as opposed to the busy fall season. Below are our current PRICES. Chimney sweeping is necessary in order to maintain the safety of your chimney operation. Our sweeping services work to thoroughly clean out soot and debris, inspect the chimney, and make any referrals for repair if any problems are recognized and require repairing. This includes scraping the sides of your chimney walls to remove any creosote that has built up over time. Our number one concern is the safety of you and your family, so we work carefully to ensure your wood stove or fireplace’s chimney area is clean. Most people know that they should clean their woodburning chimney flues to prevent dangerous chimney fires but the Oil or Gas heating appliance also has a chimney flue , which generally is in use year round. OIL HEAT Chimney flues require regular cleaning and maintenance – The majority of our emergency jobs are due to lack of maintenance to the heating chimney flues. We usually get the call to clean a chimney flue when the chimney is actually clogged or collapsed causing a no-heat situation. Generally at this stage it is much past the point of routine chimney cleaning and may require an emergency chimney declog job which adds additional cost , often at a time of freezing temperatures. It is recommended to have chimney sweeps done after the winter , during the spring and the summer , instead of waiting until the last minute when prices go up for the busy fall season. You can rest assured knowing that our team will go through this comprehensive checklist. 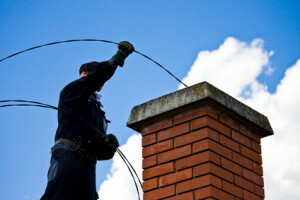 -Our Pro’s will Look for debris in your Chimney that could reduce air flow and functionality of your Chimney. -We will check the firebox for any damage that needs attention. -We will check for any damaged bricks, flue liners, cracks, etc.and much more!